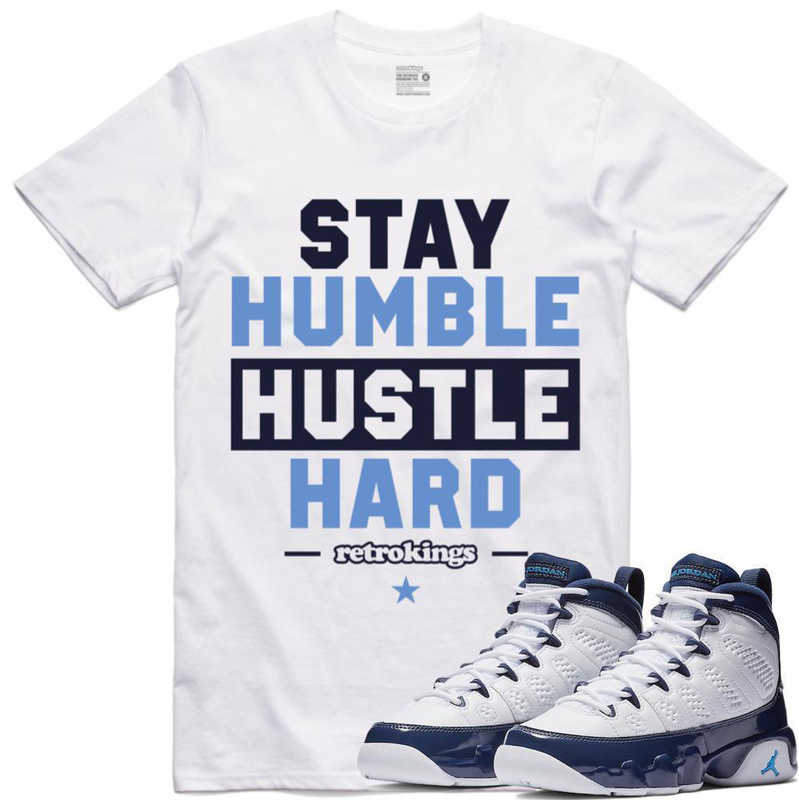 Fresh off the release of the Pearl Blue Air Jordan 9 “UNC” shoes come a new collection of sneaker tees from Retro Kings to match the kicks. 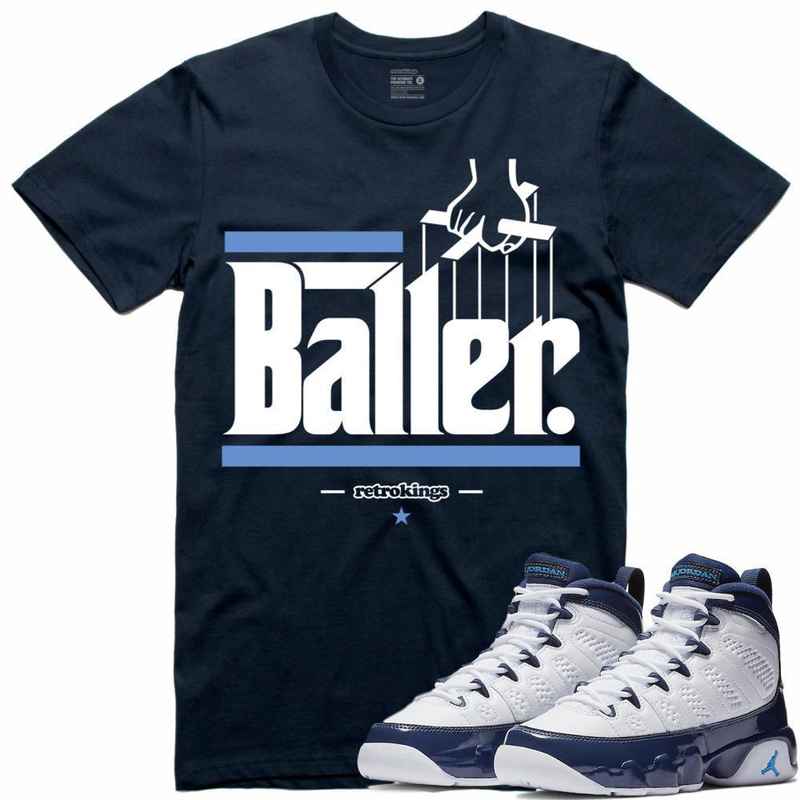 Giving you navy blue and white styles to choose from, included in the collection are several different styles to sync up with the sneakers, including the Baller, Big Bank, Humble, Glory, Loyalty, Street Love, Young Fresh and Definition t-shirts to hook. 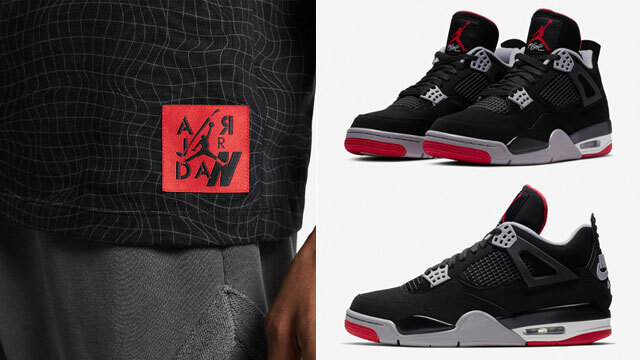 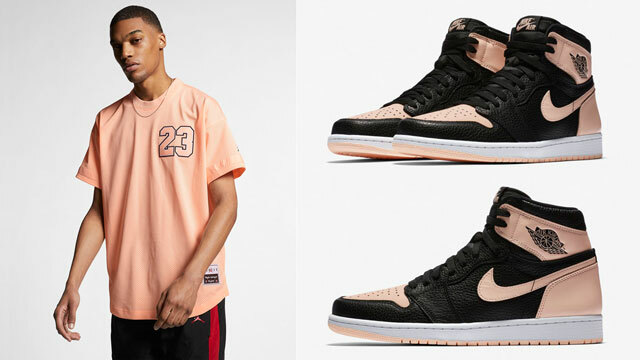 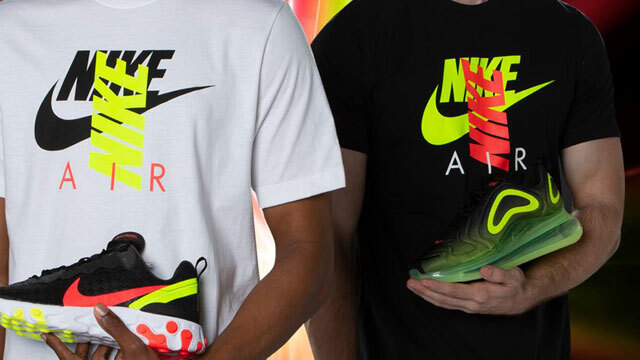 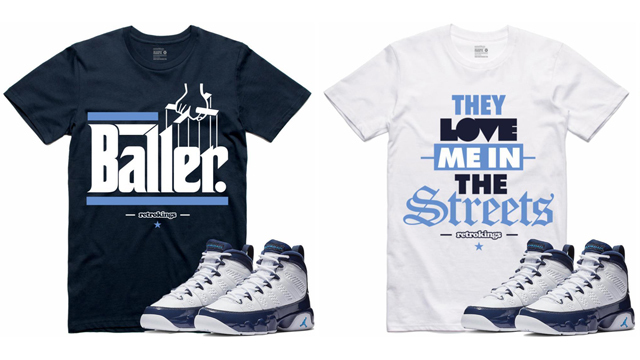 You can cop the kicks and tees below. 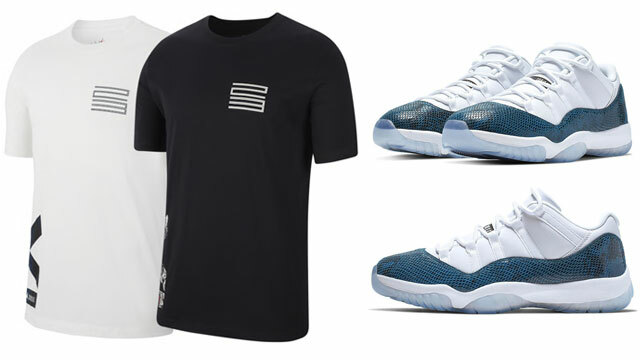 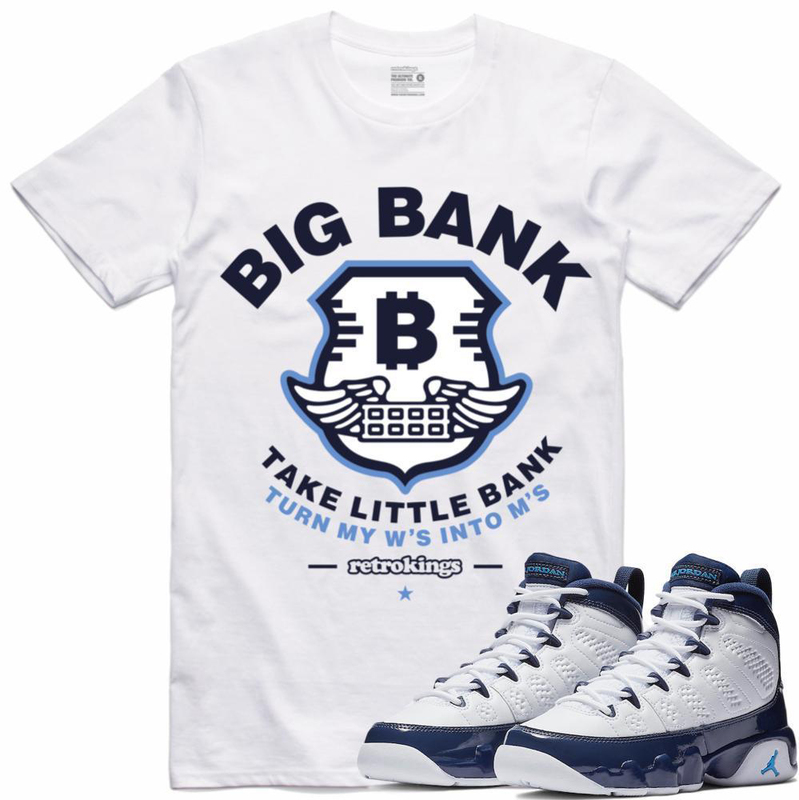 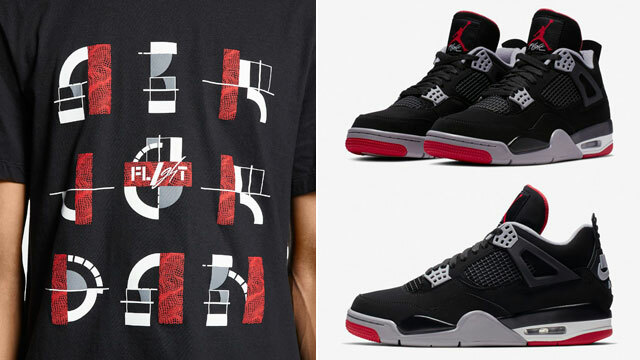 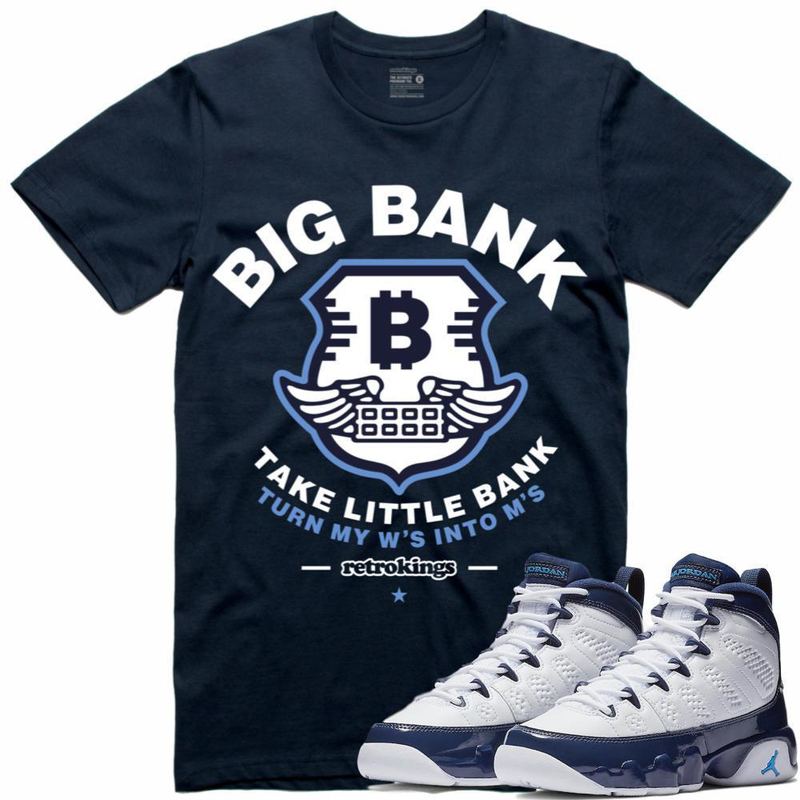 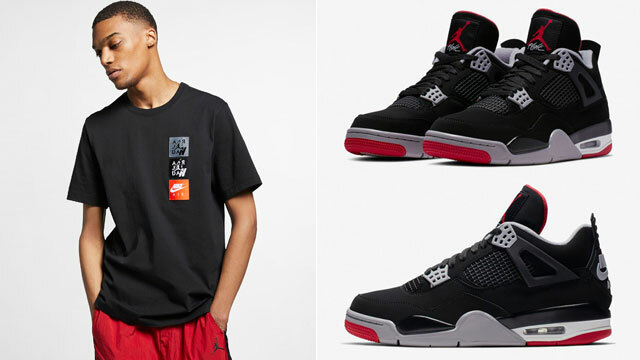 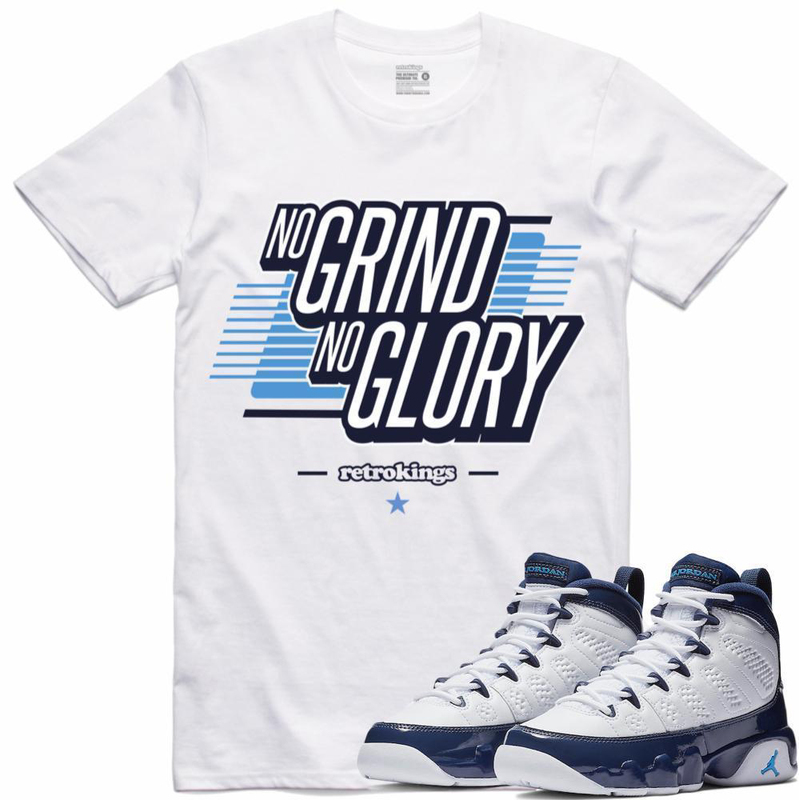 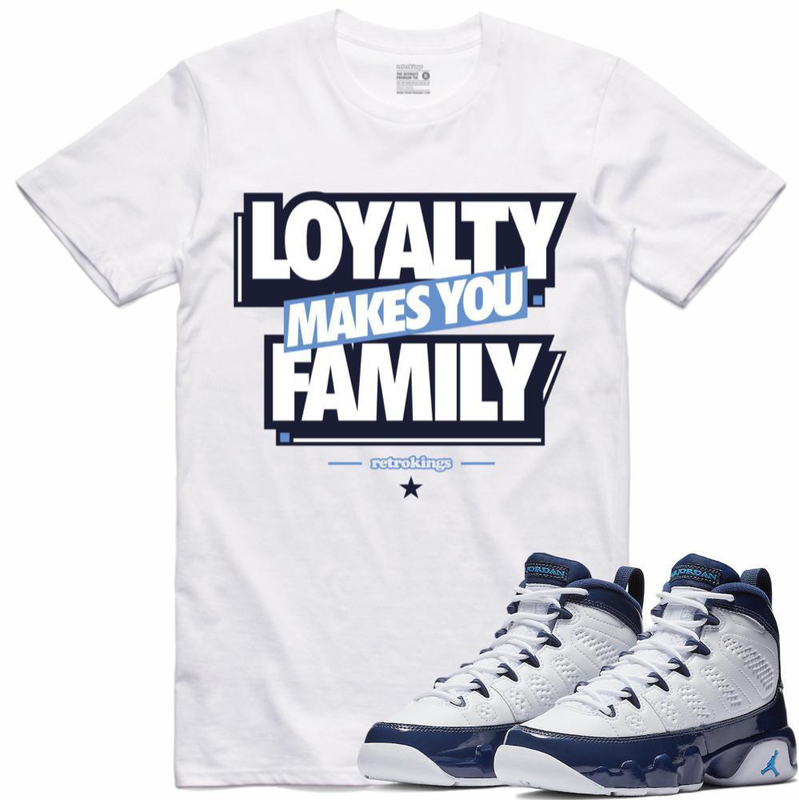 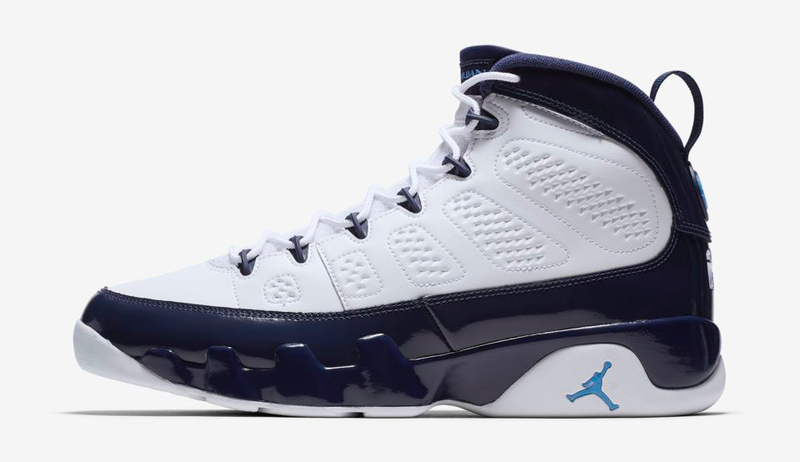 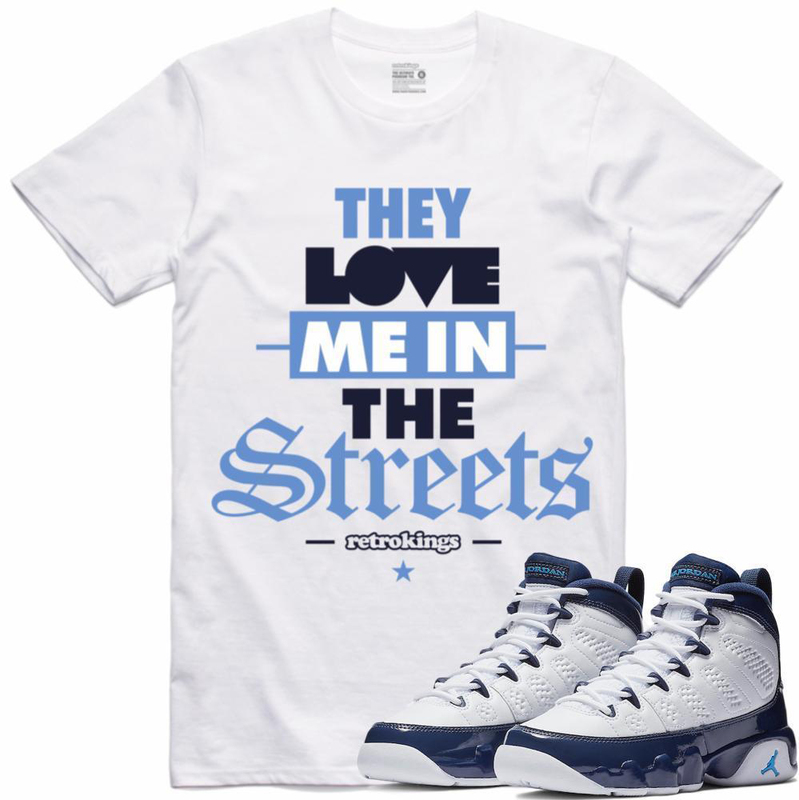 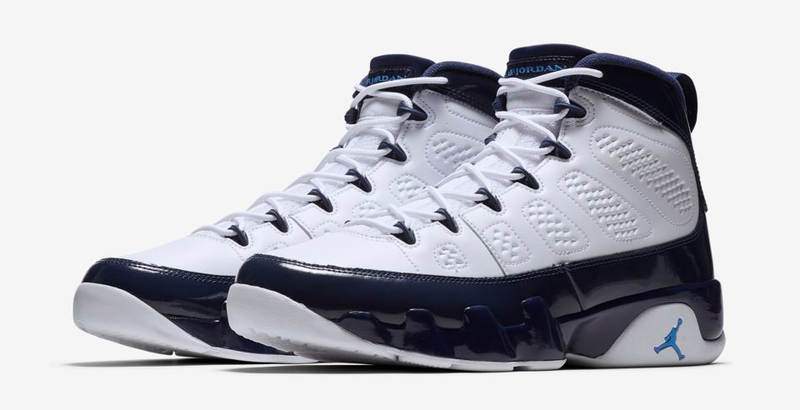 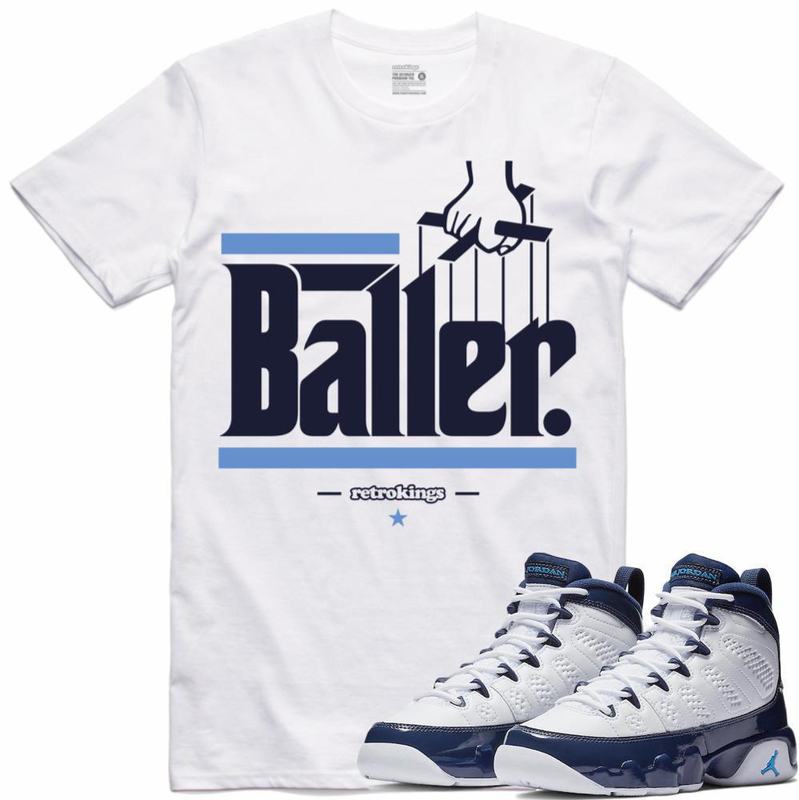 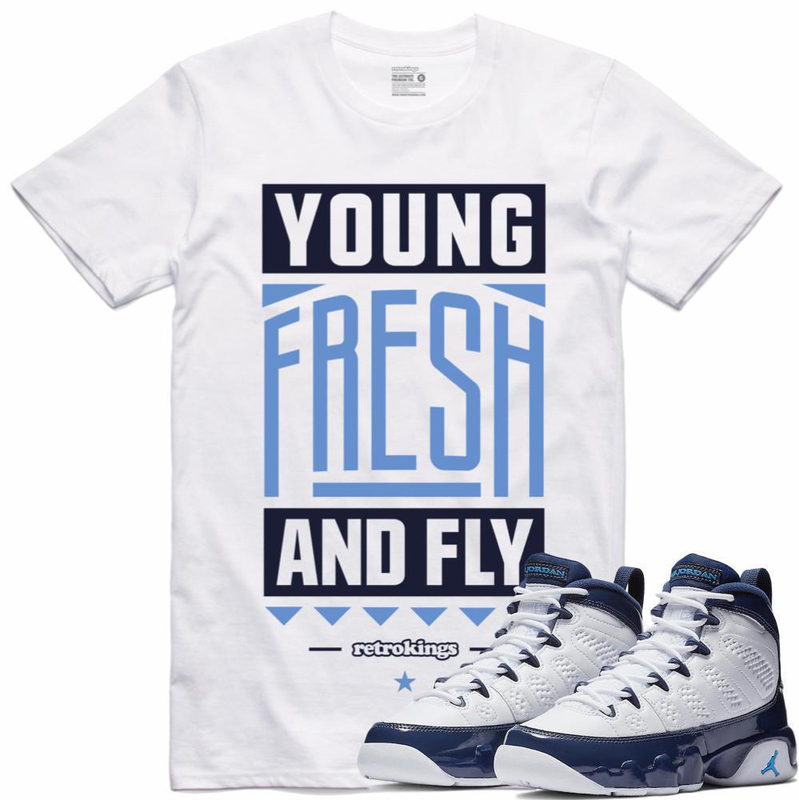 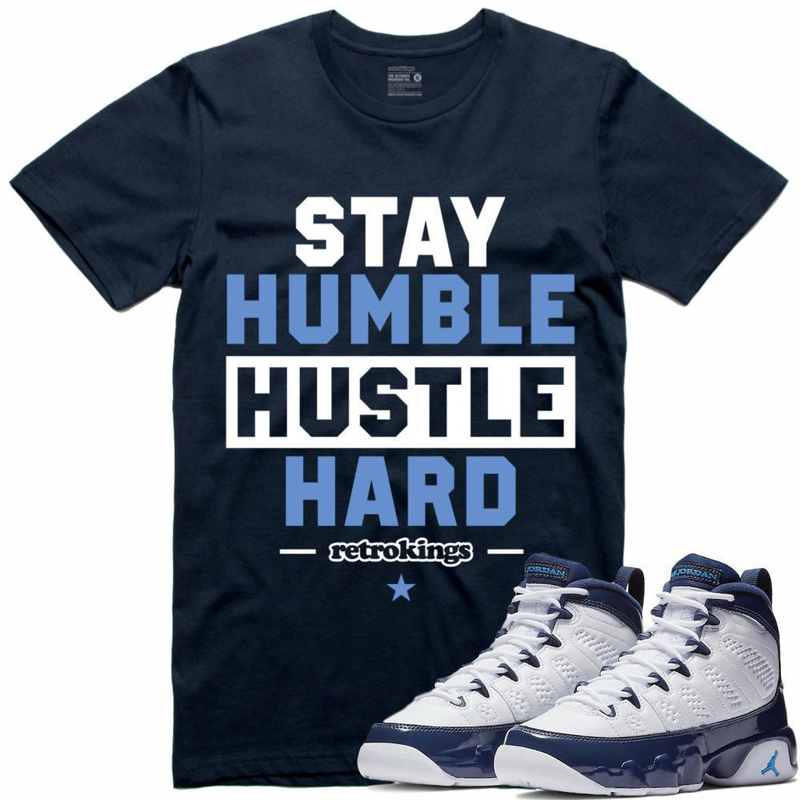 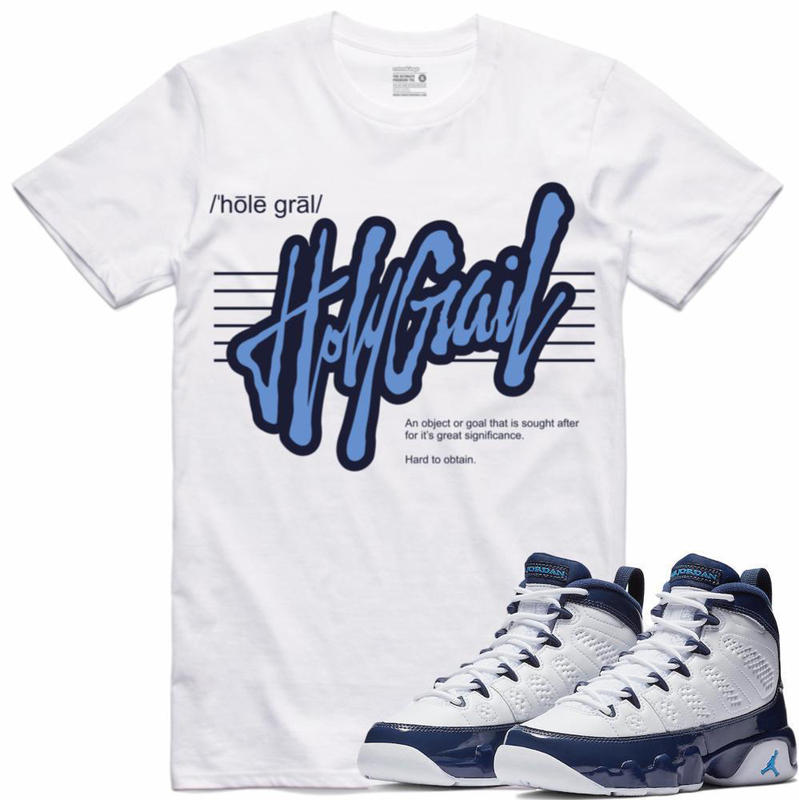 Click here to shop Retro Kings sneaker tees to match the Air Jordan 9 “UNC”.